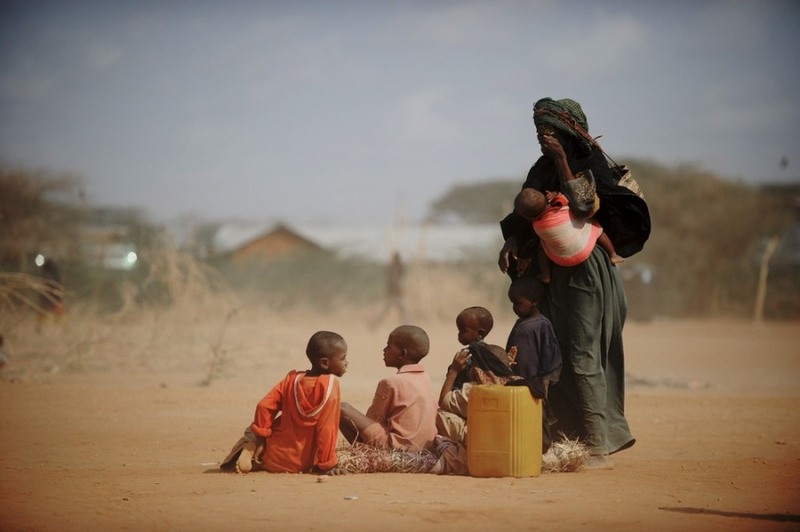 Serious drought in the Horn of Africa has forced thousands of Somalis to cross into Kenya in recent weeks in search of food and water. Many have ended up at Dadaab, the world's largest refugee camp with a population of 370,000, AFP reports. 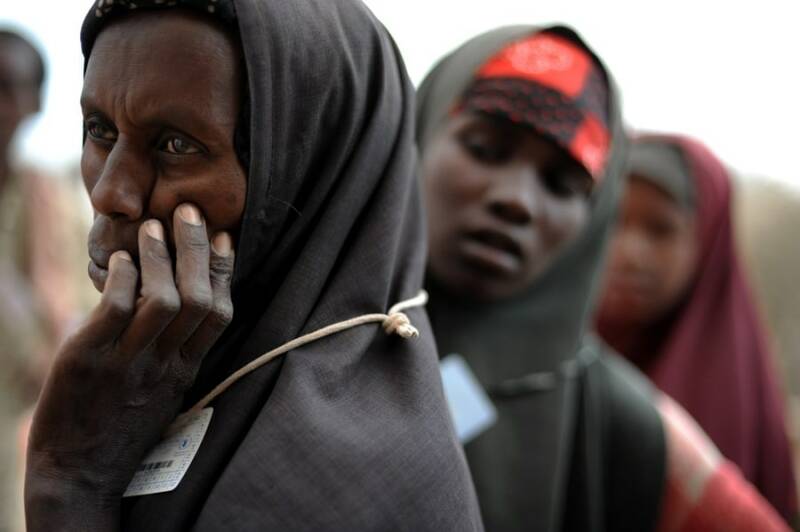 Somali refugees wait in line to recieve aid at a food distribution point at Dadaab refugee camp, Kenya, on July 4. Sarura Ali covers her eyes from dust as she stands with her six children outside a food distribution point in the Dadaab refugee camp on July 5. Sarura, her husband and their children arrived at the camp early on July 5 after having trekked for eight days from their home in Sakow, Somalia. 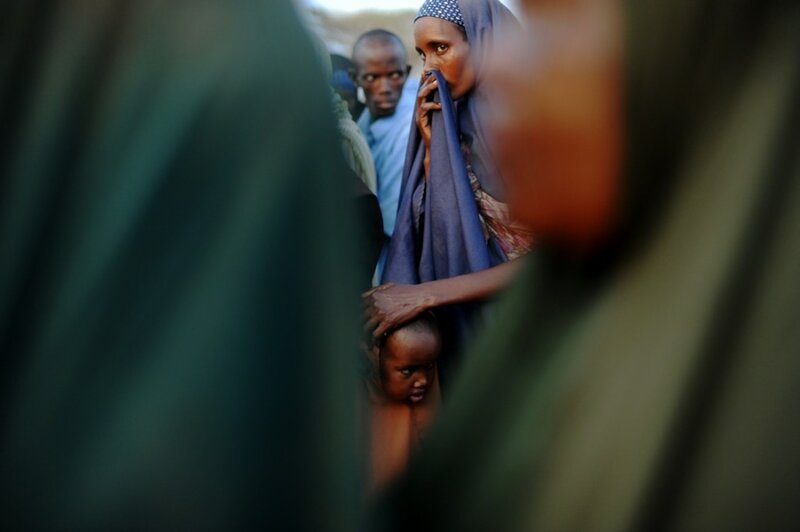 A Somali refugee patiently waits in line with her daughter in the early morning outside a food distribution point in Dadaab refugee camp on July 5. 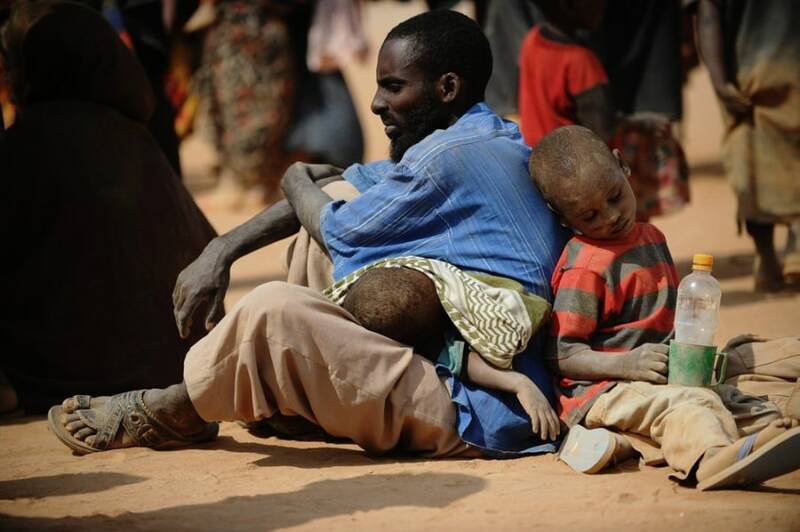 A Somali man who fled violence and drought in Somalia with his family sits on the ground outside a food distribution point in the Dadaab refugee camp on July 5.